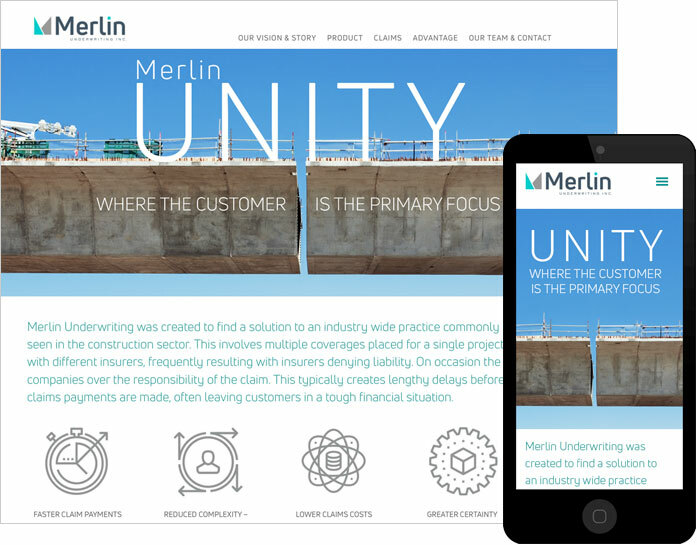 Merlin Underwriting was launching a new company and asked Toronto’s Swerve Design Group to build its online branding with the launch of its new website as well as build online tools for its insurance agents. We build member login system with sophisticated online application forms and change tracking. See more of our website design work.